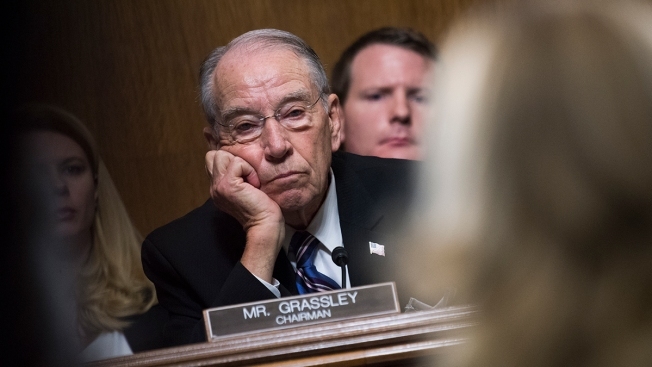 This Sept. 27, 2018, file photo, Chairman Charles Grassley, R-Iowa, listens to Dr. Christine Blasey Ford testify during the Senate Judiciary Committee hearing on the nomination of Brett M. Kavanaugh to be an associate justice of the Supreme Court of the United States, focusing on allegations of sexual assault by Kavanaugh against Christine Blasey Ford in the early 1980s. Sen. Chuck Grassley announced Friday that he plans to cede the gavel of the Senate Judiciary Committee next year, serving instead as chairman of the Senate Finance Committee, NBC News reported. The Iowa Republican has served as chairman of the Judiciary panel since January 2015. Senate Republican Conference rules limit service as chairman and ranking member to six years, which means Grassley is eligible to serve as the Finance Committee’s chairman for one full congressional session. The announcement means that Sen. Lindsey Graham, R-S.C. — a vocal member on the panel who has been a fierce defender of President Donald Trump and his policies — is likely to be the panel's next chair. 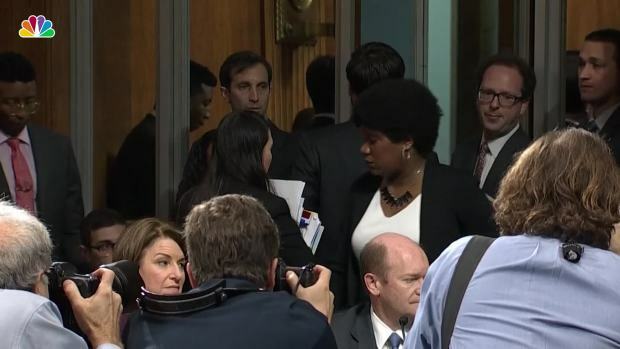 As Senate Judiciary Committee chairman Chuck Grassley, spoke during a meeting on the confirmation vote for Supreme Court nominee Brett Kavanaugh, several committee Democrats walked out.